Buying Commercial or Apartment Property? Whether you are looking to buy an office, an apartment complex or an industrial building, there is no better commercial real estate company to turn to in the Bay Area than North Bay Property Advisors. Our team is dedicated to helping you find the perfect property for you, your goals and your budget. We aren’t satisfied until you are, and your satisfaction is our guarantee! 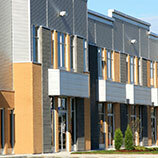 We have been helping business owners find the right commercial properties in the Bay Area for over 50 years now. Through all of our years of experience, we’ve gained a great deal of knowledge about the industry, the area and the history of the commercial properties we work with on a daily basis. With so much experience and knowledge on your side, finding the perfect commercial property for your needs will be easier than ever before! Whether you are new to the world of commercial real estate or you are a seasoned veteran, navigating all of the ins and outs can be complicated. Finding the right commercial property is a bit more involved than simply choosing a property with the right look or searching out a great location — there are many factors to consider. 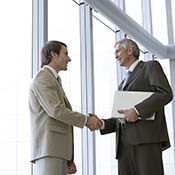 The good news is that you don’t have to try to stumble through the murky world of commercial real estate on your own because North Bay Property Advisors is here to help! 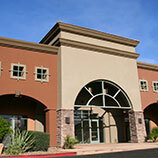 Are you ready to take the first step to finding the perfect commercial property for you? Contact us today to get started!